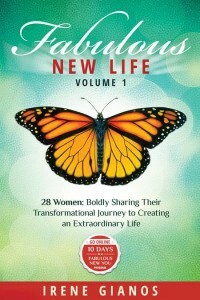 The Fabulous New Life Book is an anthology of a group of women sharing their stories of growth and transformation from who they were to who they are today. It’s a moving book for anyone who is looking to overcome challenges, seeking the greatness that’s truly inside themselves, and ready to experience transformation to a new self and become the extraordinary selves they were meant to be. 1. 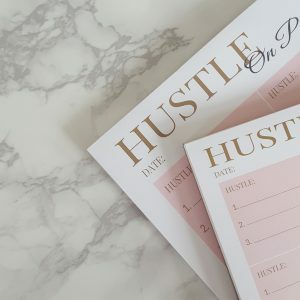 The notepad is divided into 6 squares, where at the top of each square labeled “HUSTLE”, or category, you would write the project/job/category you’re working on. 2. Beneath each project/job/category you would write your top 3 things to do for each “HUSTLE” for the day. 3. Cross of your “to-do” for each project you’re working on. A collection of online resources created with you in mind! Want to work with the op life? I show people how they can live authentically, and empower them to be their best selves by all of the choices they make in their lives and shifting their mindset. By doing so, they begin to live an On Purpose life, full of intention and living in their greatness. Want to work with me? Contact me HERE.